Exotic Peacock Amaryllis is presented proudly in our joyous jar. BETTER BULB GIFTS FROM THE BULB EXPERTS! 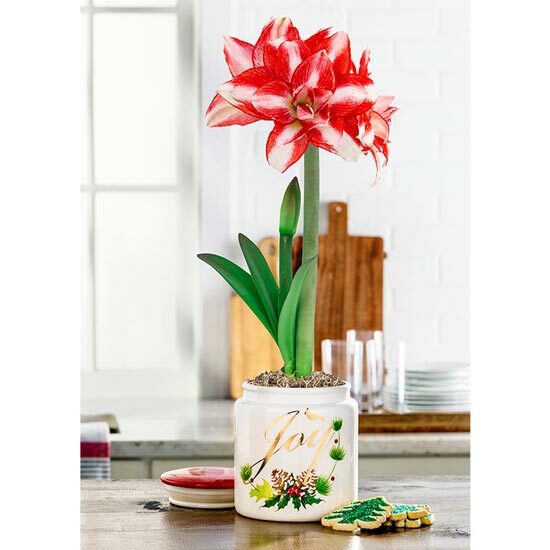 We know there are a lot of amaryllis alternatives out there, but none compare to Breck's® Amaryllis Lovers™. 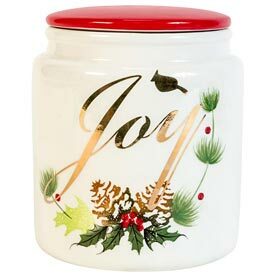 Our passion for perfection can be seen in each of these extraordinary living gifts! What Sets Breck's Amaryllis Lovers Apart From The Rest? • Large bulbs ensure a generous stalk of blooms, often with multiple stems per bulb. • Each bulb is pre-planted in protective moss and carefully packaged for shipping. 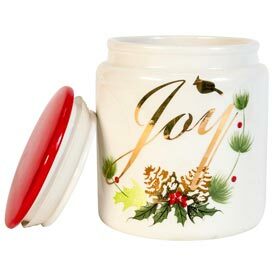 • Every Amaryllis Lovers gift arrives in an exclusively designed cachepot or basket. • Includes expert care guide for blooming this season and reblooming in seasons to come. • And be sure to check out our new Waxed Amaryllis that bloom without water or soil. 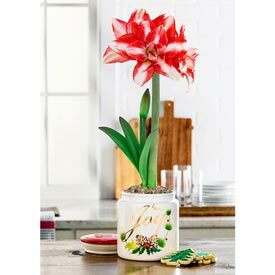 Amaryllis Lovers™ gifts can grow up to an inch a day−culminating in glorious blooms in 4 to 6 weeks. Just add water and sunlight, and watch the show begin!